Courage is the currency of innovation. 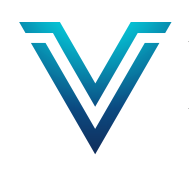 ValorVC was founded when three partners came together from three separate disciplines: tech, finance and operations. Our team unites in a single purpose: funding the best real-world tech innovation outside of Silicon Valley. Our process uncovers those unexpected perspectives that change everything. History proves it’s outsiders who create outsize leaps forward in real-world innovation. Learn how we source underrepresented, outperforming founders. More revenue for startups. + Faster innovation for the enterprise. 45,000 square feet of innovation energy. Our headquarters at Atlanta Tech Park is located within a few miles of 1 in 5 all the software exits in our region. Let's get stuff done together.